Service Fees are in addition to DMV fee, penalties, taxes and any outstanding citations. Cash, Mastercard & Visa / Debit Card Accepted. Sorry, no checks. All credit card transactions are subject to a 3% processing fee. 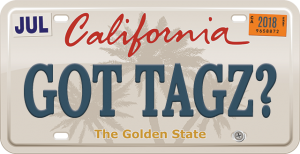 Totally Notary Vehicle Registration Service is licensed, bonded and contracted with the State of California Department of Motor Vehicles (DMV) through their Business Partner Automation Program to provide vehicle titling services. We hold DMV Occupational License #95437 and can perform instant DMV registration and title transactions. Note: A service charge will apply in addition to the DMV fees. * Additional DMV service fees may apply.